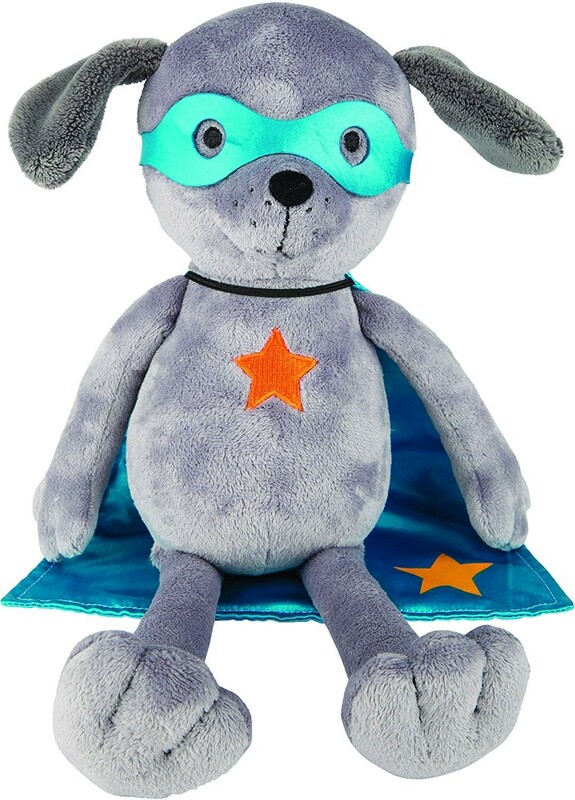 Who doesn't love a super hero? 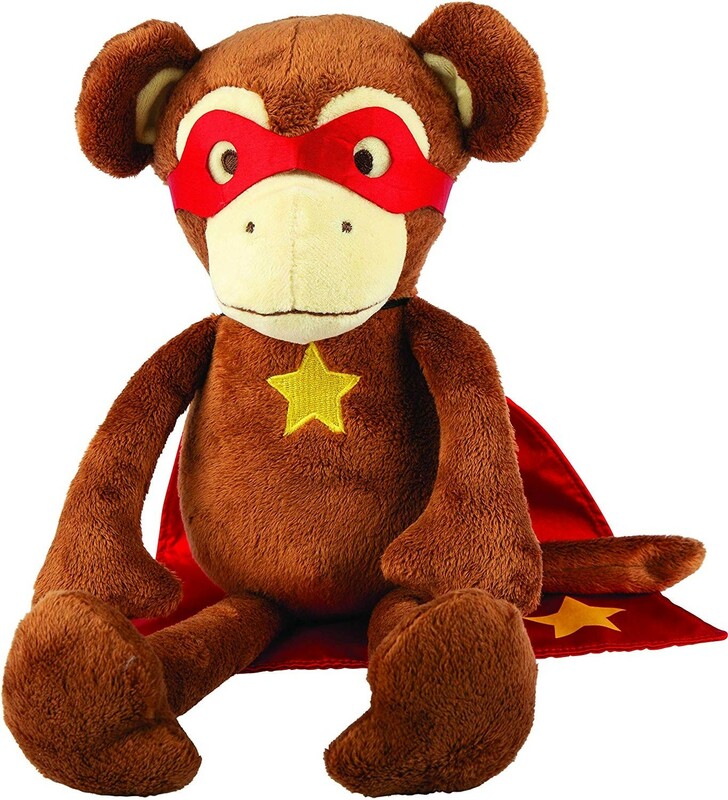 These plush versions are suitable from birth and made to Suki Gifts high standards. 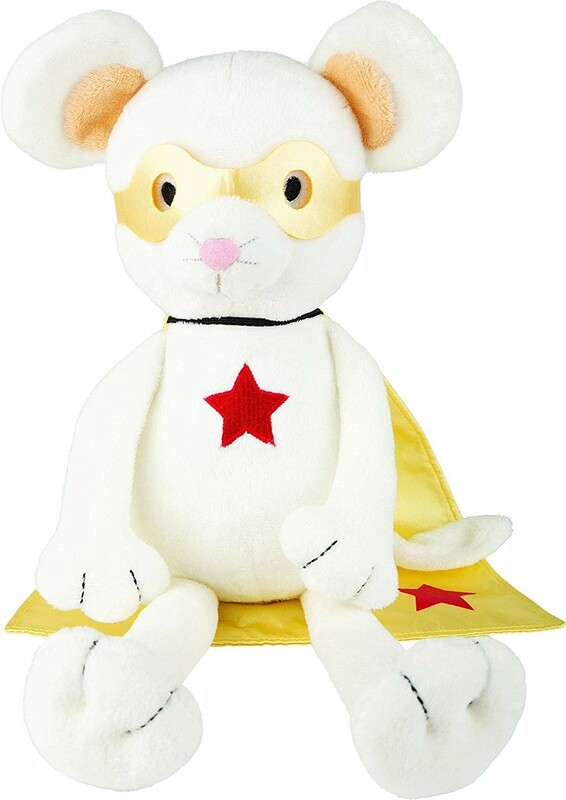 Magnifico Mouse , Mighty Monkey or Dynamo Dog 30 cm tall approximately. surface washable, air dry.